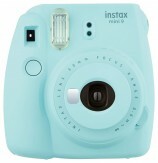 Amazon offering Fujifilm Instax Mini 9 Instant Camera Rs. 3499 only At Amazon lowest price. To claim this deal, go through the steps mentioned below. How to buy Fujifilm Instax Mini 9 Instant Film Camera (Black)?